I see far fewer Expediter trucks around Ontario. The automotive manufacturing and autoparts business, which supported much of the expedite trucking sector, has been gutted with factories closed and plants shifted to southern USA states and Mexico. 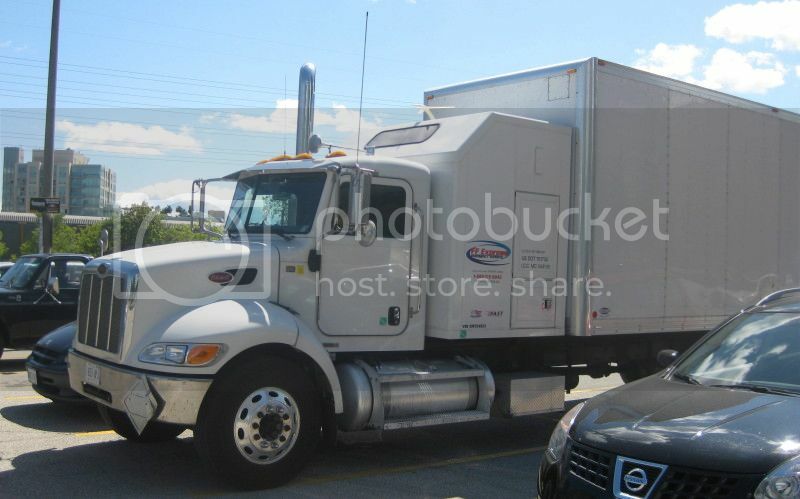 I caught this Peterbilt from FF Express from Ancaster ON in a parking lot in Toronto in late August 2011.